I love Easter! I love giving presents! 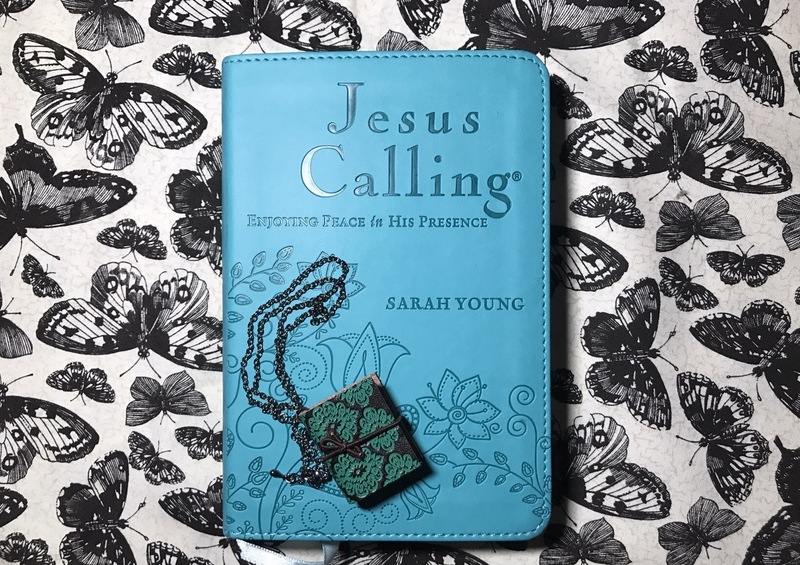 The Silver Lining is giving away a brand new copy of my favorite devotional: Jesus Calling, by Sarah Young, bound in turquoise imitation leather (my favorite color)! Also included, is an itty bitty leatherette journal necklace (made by me; well… not the journal itself, but I put it on the chain, and I think it’s cool)! You can actually write on the miniature pages inside: bible verses, memories, story ideas, poems, and more! I’m grateful for the many men who are also following The Silver Lining, which is a blog for everyone who is looking for the good God has to offer during the hard times in life. An alternate prize option is also provided to either men, or women, who win this giveaway. It is a copy of The Duck Commander Devotional, by Al Robertson. You can just let me know your preference when the winner is announced! Why a giveaway? Because I really, really love and appreciate my readers… and I really, really do pray for every one of you! My family comes together and asks God to choose the winner of each giveaway. It’s such a blessing to give a gift to a reader of The Silver Lining! “Each one must give as he has decided in his heart, not reluctantly or under compulsion, for God loves a cheerful giver” (2 Cor. 9:7). To qualify: You must be a follower of The Silver Lining Facebook page. * Find it on Facebook, and easily join by clicking: ‘like’ and ‘follow.’ I want to share God’s Good News with you! To enter: ‘Like’ and ‘share’ this post on Facebook. That’s it! Make sure this post is set to “public” or we will not see your entry! It’s tempting to keep opportunistic good news all to ourselves; but it’s much kinder, and so much more fun, to share it! Drawing held: Easter Sunday, 2017, 3 p.m. EST. * If you want to enter this contest, and are unable, for any reason, to create a Facebook account, please leave a comment below, and I will provide you with an alternate form of entry. Keep in mind, we will also have some giveaways that are just for The Silver Lining subscribers! Everybody wins when we share The Good News! I love the color! I’ve given away so many copies of this devotional, but I’ve never seen this beautiful spring color.